Increased life expectancy – this eliminates many problems that can lead to carpets and furnishings needing to be replaced and saving you money. Hygenic environment. The removal of general dust and soil debris – giving a better living condition for those who suffer from asthma. Stain Removal. Helping to remove those unwanted stubborn stains and dry spillages. Appearance. 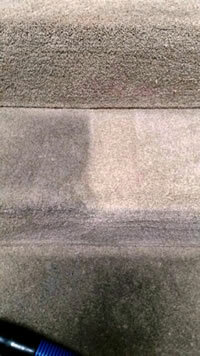 Your carpets/furnishings may be old in age but can often look like new following a professional clean. Bacteria and mites. Reducing the risk allergy and mould. Deodorisation. 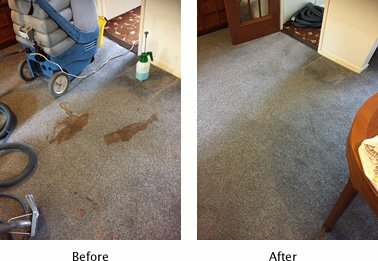 Most nasty unwanted odours can be removed with professional cleaning and a trained NCCA advanced member, such as ourselves, can offer you specialist treatments and solutions to ensure a fresh and clean looking furnishings and carpets. We are often asked many questions about the cleaning process, but a common one is “How long with my carpet/furniture take to dry and how soon can I walk on it”. Answer: The drying time can impact on many things, including the level of soiling, how much water was required, the weather conditions, atmospheric conditions inside the home etc. In most instances, the carpets and furnishings will be dry within 6-8 hours. If the drying time is a concern to you, please mention this and we will be able to advise on how these can be expediated by using some special techniques and equipment. Please note: there is sometimes an extra charge for this service. There are several ways of making your carpets cleaner, dependent upon the level of soiling, pile depth, carpet construction e.g. wool, nylon, flotex, polypropylene, loop or twist pile, carpet backing e.g. woven or hessian, dye bleed testing etc. The most commonly used method has to be hot water extraction or better known as HWE. We would usually pre-vacuum if necessary and sometimes a rotary brush machine is used in conjunction with the HWE method. The majority of carpets are pre-vacuumed before cleaning is undertaken. Any stains are pre treated before cleaning, although we cannot always guarantee to remove every stain depending on what this is and if it has already been treated by a household product which sometimes can cause a bleaching reaction. We recommend to all of our clients that their items be cleaned at least once every 12-18 months to maintain the life of it. It is quite often the case that dust mites, general dirt, drink stains, grease etc will at some point embed into the flooring and can cause problems such as colour fade, flat pile, respiratory problems etc. This is also why we would recommend that the floors be cleaned on a regular basis. 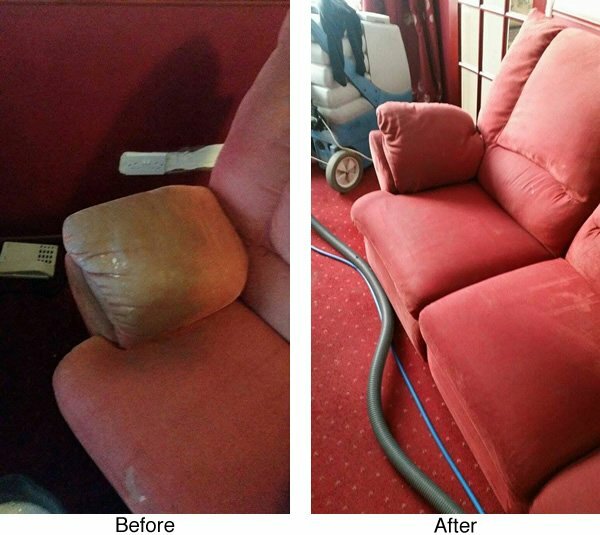 North Star have been trained and accredited by the NCCA in selecting the correct upholstery cleaning systems for all different types of fabrics and levels of soiling. Demonstrated below is a deep extraction clean we completed to a saxony carved carpet. This way, we can ensure that the removal of soiling is carried out correctly without risking any damage to your furniture. We often successfully clean fabrics that other companies may decline to attempt. Our products and equipment are selected carefully with each customer in mind, right through from initial vacuuming to choosing a water/dry based or environmentally free based systems which would be most appropriate for your furnishings. (i.e. velvet material should never be wet cleaned). Why Use an NCCA Member? 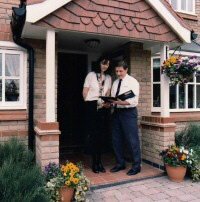 In recent years rogue traders have become more and more of a concern for anyone looking to employ a tradesman or company. Increased public awareness, government involvement and media coverage have gone some way to educate the public on the dangers of using unqualified and dishonest service providers, but the problem is far from solved. It was over forty years ago that several like-minded carpet cleaners got together with concerns about the standards of some cleaning companies and a general desire to improve their industry and its public perception. In 1968 these innovators formed the Carpet Cleaners Association (later to become the National Carpet Cleaners Association). Since then the NCCA has set the standards for this industry, with our members providing the highest levels of service, workmanship and ethics. Being backed by the only recognised UK body for the flooring and soft furnishing cleaning industry means you can be assured that a professionally trained technician with full insurance cover will be recommended to you from our list of member companies based all over the country. NCCA members operate to a Code of Practice, which covers specifics such as fair pricing, service and consumer protection and the NCCA promotes best practice in all its activities. Technical assistance is available to all members as required, along with a 24 hour legal helpline. A complaint procedure also ensures that, in the unlikely event of a disagreement, professional and unbiased advice is available.